A friend of mine, shared this story from the old South Orient Railroad. I love it because it harkens back to old school railroading that is very appealing to me–less unit trains, cabooses, 40-foot boxcars, no graffiti and railroads actually advertised on their rolling stock. I thought you might like it too. 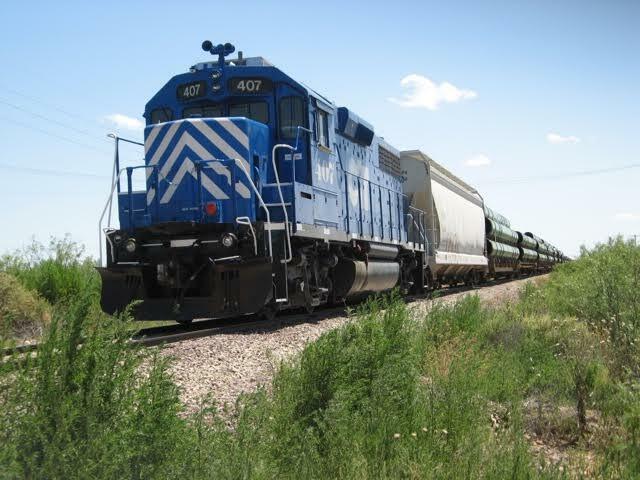 It came up as we discussed today’s rail operations on the South Orient’s successor, the Texas Pacifico. Above, the siding is where the word Belding is located. 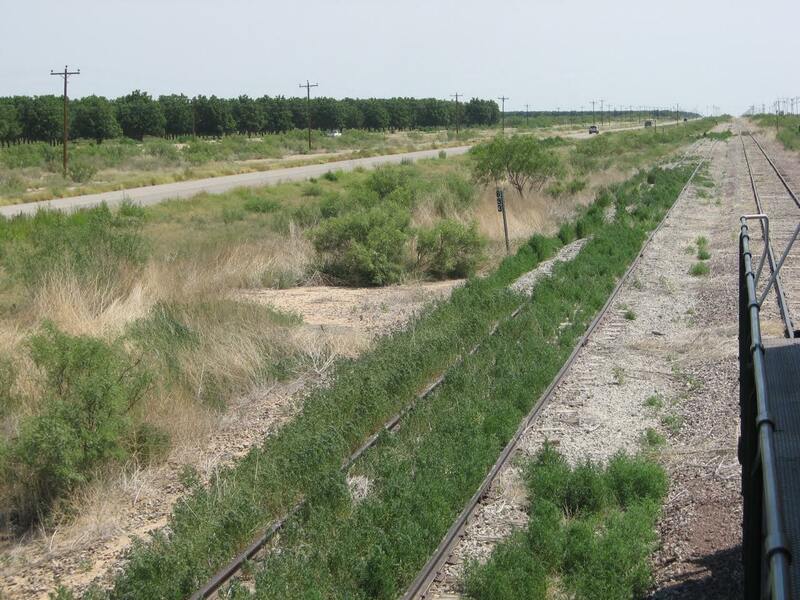 The track runs parallel to the Old Alpine Hwy in far West Texas. 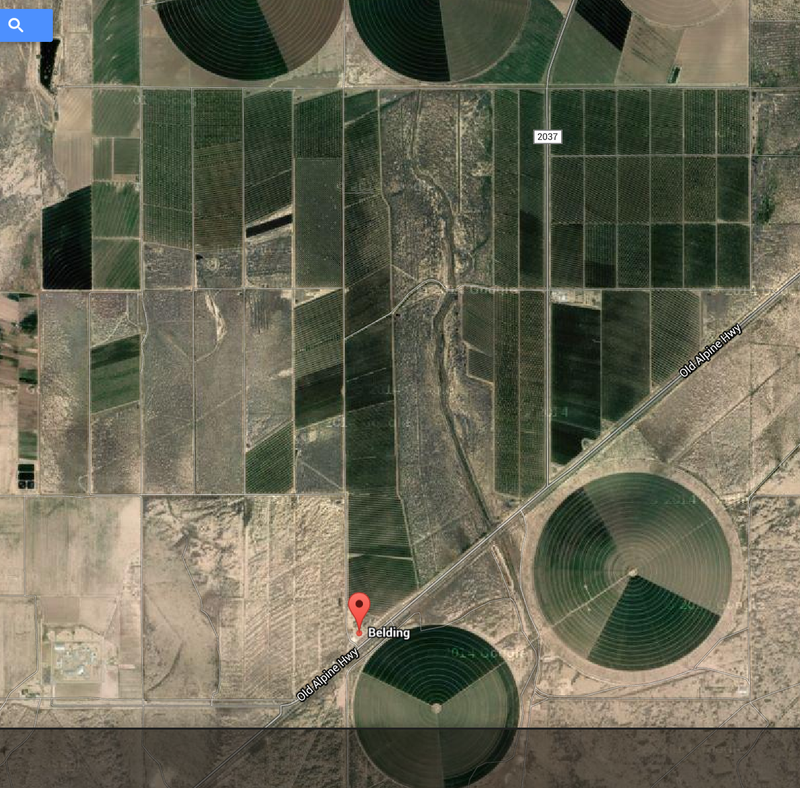 The rectangular green areas are pecan groves. Remnants of Belding siding June 2012. Pecan groves across the highway. Above, Belding siding (to the left) in June 2012. The unloading lane to the siding track is still visible just this side of the mile post marker. I had just started out as a conductor and I remember the siding being over-grown with weeds, not all cleared off next to the tracks like now. There was just one lane to the track from the road where the pecan orchard vehicle could get up to the car. Not sure how the car was unloaded, never saw an auger. It was always in the spring when the cars were spotted and the dried weeds from winter balled up under the car as we shoved it to a spot. I set out there another time in the wee hours of the night. No lights around to help me through the weeds. ATSF had placed a couple of 40 ft refrigerator cars off the siding track here, for storage I guess. I always meant to get a photo. Never did before one trip they were gone. Not sure who took them away. In later years the weeds would get so bad on the siding track we couldn’t get the engine by itself through the siding. The wheels would spin from the crushed weeds on the track acting like grease and the weeds being six to eight feet tall was just too much for the old GP -7 to plow through, even after a number of running starts. 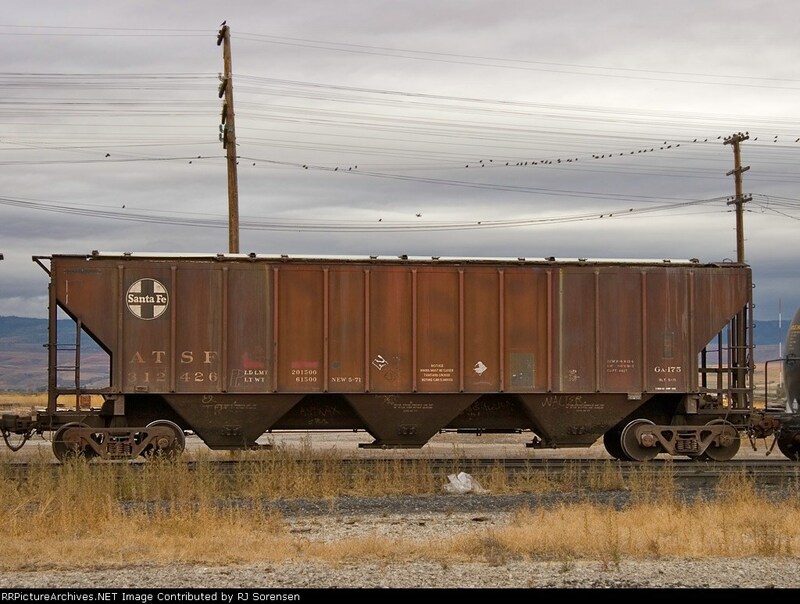 Unfortunately, my friend never got a picture of the siding in operation, but he recalls cars similar to this one being there there in the early 1990s. The country around Belding, TX looks somewhat like this photo. ATSF 212426 Montpelier ID July 24 2005. Photo courtesy RJ Sorenson and Railroad Picture Archives. Last service to Belding my friend recalls is four loads of fertilizer being spotted there in the spring of 1998. By the way, this corner of Texas is very isolated and the night skies are among the darkest in the nation. The South Orient is a very different railroad now. 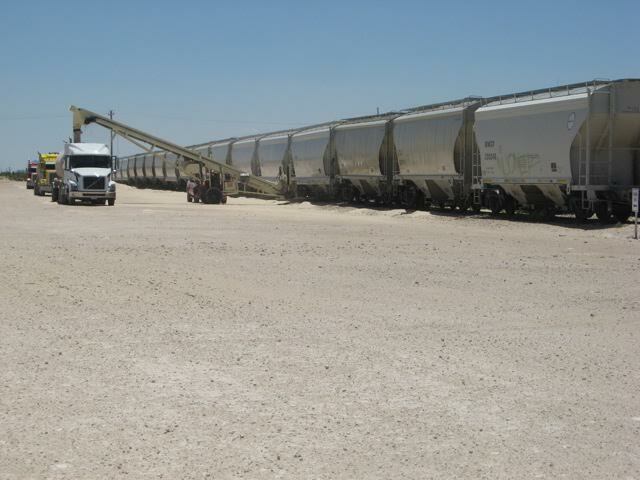 The Texas Pacifico is a very busy railroad that hauls a great deal of traffic to support oil and gas operations in the region. Rather than a lone GP-7, see below what they run today. 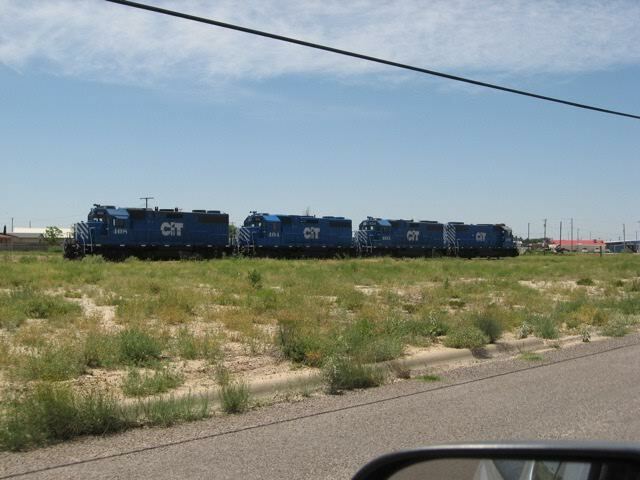 Hope you enjoyed this vignette of old school railroading in West Texas in the early 1990s.